LAST Tuesday, September 13,2016,the Minister of State, Aviation, Sen Hadi Sirika landed in Lagos from a trip and immediately moved to settle a trade dispute between Aero Contractors and its workers. When he got to the airline’s headquarters, the situation had even become worse as the workers were on a protest, over the shut down of operations amidst unpaid salaries by its management. But rather than beat a retreat to take a rest on account of his long air journey, the minister immediately rose to the occasion and resolved the ugly situation. 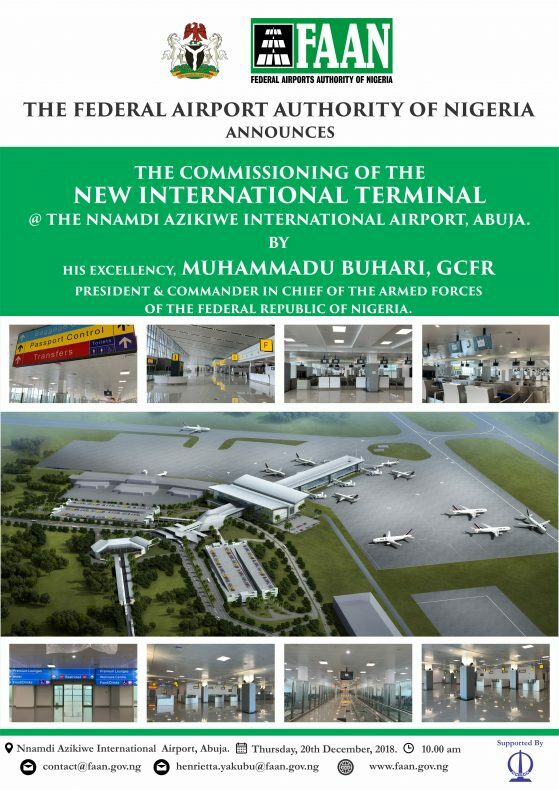 He was not done yet, after leaving Aero head office, he had to make a whistle stop over, to inspect the new, state-of-the state airport terminal at the Murtala Muhammed International Airport ,Ikeja, that is almost completed by the Chinese construction giant, CECC. Then, back in his office in Abuja, Thursday, barely two days later, he addressed a press Conference on the topical issue of Concession and Public Private Partnership, PPP Policy of the Buhari administration and inaugurated two key committees that would pilot the policy implementation from take-off to ensure a safe landing. At Aero Contractors airline which is under receivership, Sirika had assured the protesting workers that the Federal government would make sure that it addressed the problems confronting the airline. He said that it was the responsibility of government to create jobs therefore, the Federal government would not allow any business concern to die under its watch. Aero Contractors is under the management of Asset Management Company of Nigeria, AMCON, a government agency set up by the Central Bank of Nigeria ,CBN to manage bad loan assets of Nigerian banks. Sirika who is a professional pilot and aviation expert, is so passionate about the growth of the Nigerian Aviation industry. He understands first hand most of the challenges facing the industry having been involved with the industry in the past two decades both at a professional level and as a lawmaker in the National assembly where he served in the Aviation Committee in the House of Representatives and the Senate Committee on Aviation for some years. Shortly after been named Minister, Sirika was able to get government approval of duty waivers on critical aviation equipment for domestic airlines. This policy would save Nigerian domestic airlines that were paying at least 5 per cent import duty on every spare part, about N26.5 billion per annum. “This means the era of Customs holding on to airlines’ spare parts has become a thing of the past. One of the gains is that downtime will reduce because an airline can import an engine and within a day clear it with Customs and on the second day mount it on the aircraft and start operations, ” said one industry official. By the end of the year, five new state of the art, world class international airport terminals at MMIA, Abuja, Kano, Port Harcourt and Enugu are expected to be delivered to the Federal Government by CECC. He fulfilled his promise to the aggrieved workers who agreed to sheathed their swords when he returned three days later to engage the Management of Aero, Labour Unions, Airline Operators and Fuel Marketers and Aviation Correspondents in a marathon engagement back to back. Sirika first publicly mooted the idea of airport concession which came as a surprise to many in the industry, as a way out of inadequate government resources, several months ago. The Minister has also addressed some concerns of some stake holders over the concession arrangement. 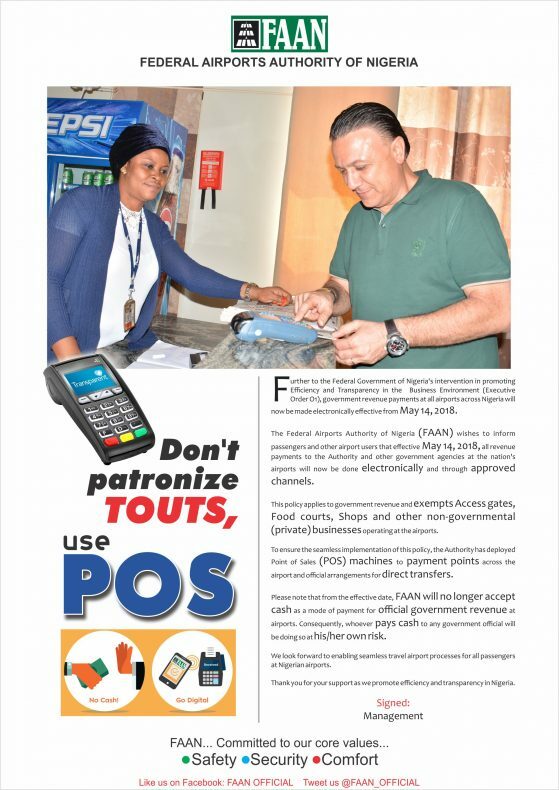 ”Contrary to the belief of many Nigerians, concession was not the same as privatization. Concession and privatization are not synonymous,” Sirika said. He explained that under the concession arrangement, the ownership of the airports and other facilities remain that of the Federal Government, which may not be so with privatization. He also allayed the fears of one of the labour unions in the aviation industry over fears that the concession would lead to massive job losses in the aviation agencies. Why concession? “Our infrastructure in aviation and transportation is dilapidated. They are not ideal. They don’t attract customers. They don’t show our nation to be in tandem with global happenings,” the Aviation Minister said. The period of preparation of framework for Concession/PPP should not take too long.” Once we start, within 24 months ,we should be able to have a new Lagos, Port Harcourt, Abuja and Kano airports, which will create an opportunity that in establishing the national carrier, it will create more jobs and facilitate trade and commerce,” Sirika said at the press conference. As a true democrat who served as Secretary of the APC think-thank which midwived the administration of President Mohammad Buhari, Sirika spent the Saturday of 17th September in yet another engagement cutting across the umbrella workers unions of Aero, FAAN and Tourism practitioners under the auspices of NANTA. Industry watchers believe the UN’s decision also demonstrates the confidence of this respected international organisation in the able leadership of Nigerian aviation by the Aviation minister. There are also indications that the Aviation Minister may have been working quietly for the re-election of Dr Bernard Aliu, the Nigerian-born Chairman of ICAO, the UN body that oversees the safety regulations of civil aviation worldwide. No doubt, Aliu’s re-election would be a plus to the prestige, respect and influence of Nigerian Aviation industry worldwide.Nigerian Aviation is expected to climb to new heights under the leadership of Sen Hadi Sirika as he takes Nigeria to the global scene.